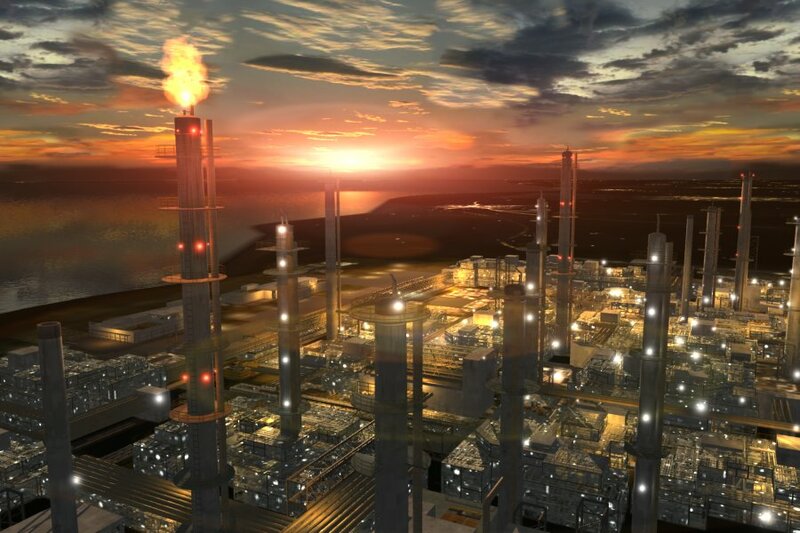 Still image from 3D simulation of a petrochemical refinery. Image credit: Looking Glass Productions Ltd.
— John Cage in an interview with Arnold Jay Smith published as “Reaching for the Cosmos: A Composer’s Colloquium,” in DownBeat, Volume 44, Number 18, (October 27, 1977). Available in Richard Kostelanetz‘s Conversing With Cage, Edition 2, (New York: Routledge, 2003), p. 221. First published (New York: Limelight Editions, 1988). "I can´t understand why people are frightened of new ideas. I´m frightened of the old ones." Posted on behalf of John Cage on Saturday, July 17th, 2010 under Quotations.